Give the gift that keeps on giving money back and can also help make the world a cleaner, better place! 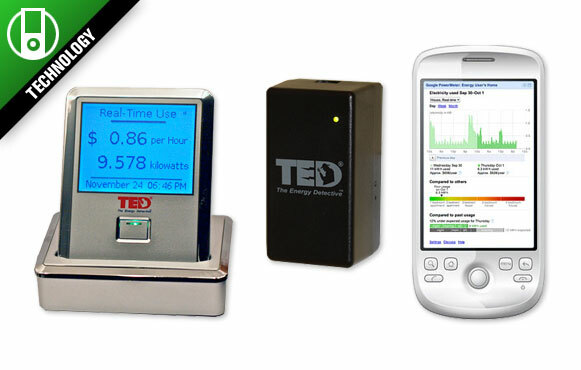 The TED 5000 is the latest in home energy monitoring from Energy Inc. that can measure electricity usage in real time. Just recently, Google and Energy Inc. announced that anyone in the United States can purchase and install the TED 5000 and see personal home energy data online using the free Google PowerMeter Web application. This device not only lets you manage energy usage but predicts your monthly energy costs and carbon footprint instantly, thus helping you reduce power waste and saving you money.